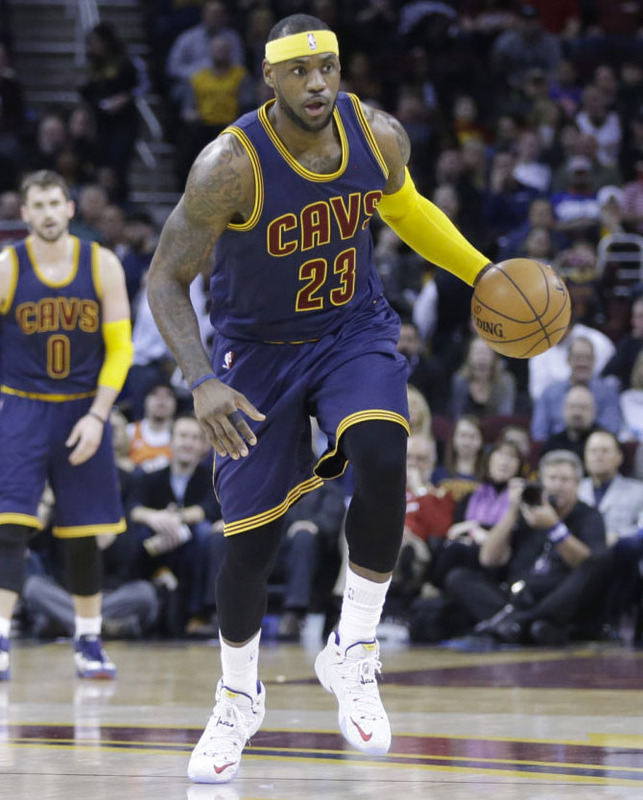 Another new look for The King. 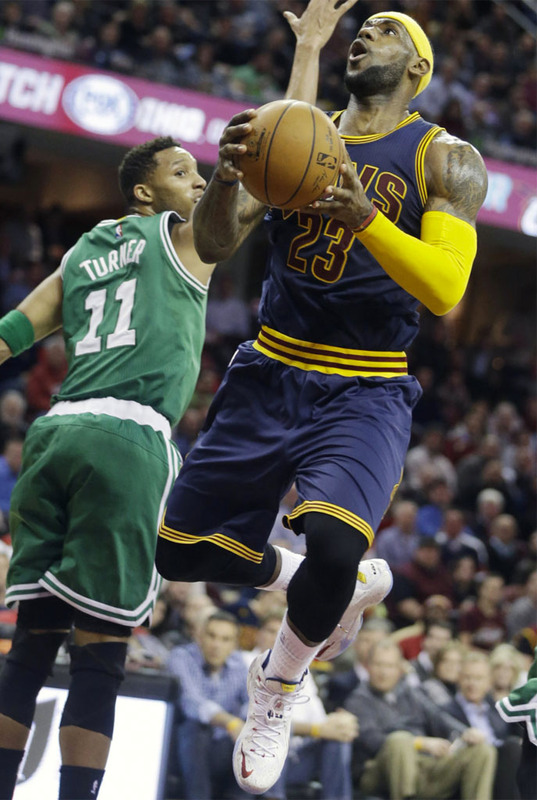 It was an easy night of work for LeBron James and the Cleveland Cavaliers, who welcomed the visiting Boston Celtics to The Q last night. 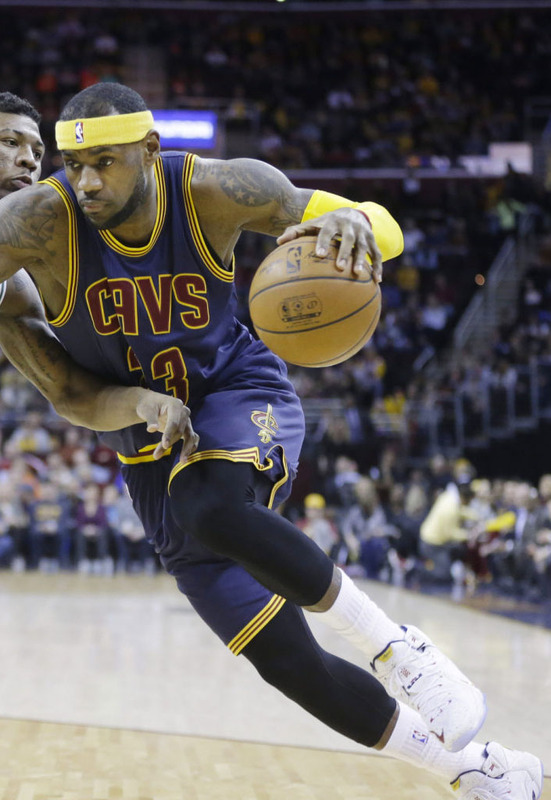 James had 27 points and 5 assists in 26 minutes of action as the Cavs rolled 110-79. 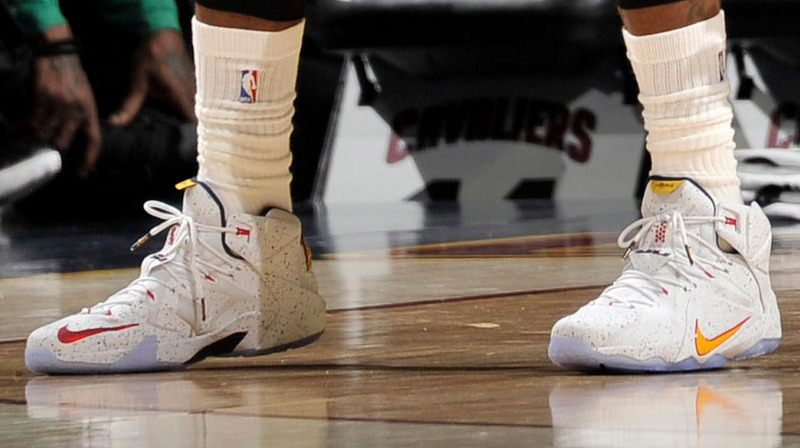 In his short outing, LeBron laced up an all-new PE colorway of the Nike LeBron 12. 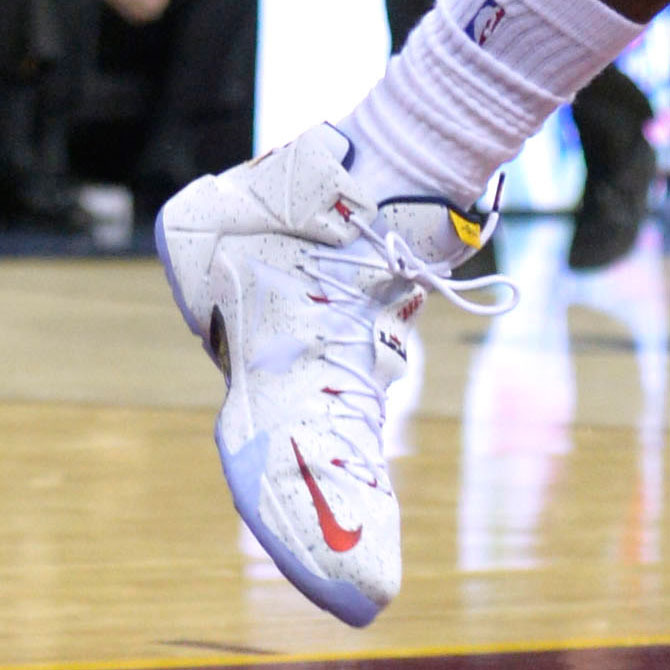 This iteration is white-based, accented by red, yellow and navy, with a speckle pattern throughout the Hyperposite overlay. 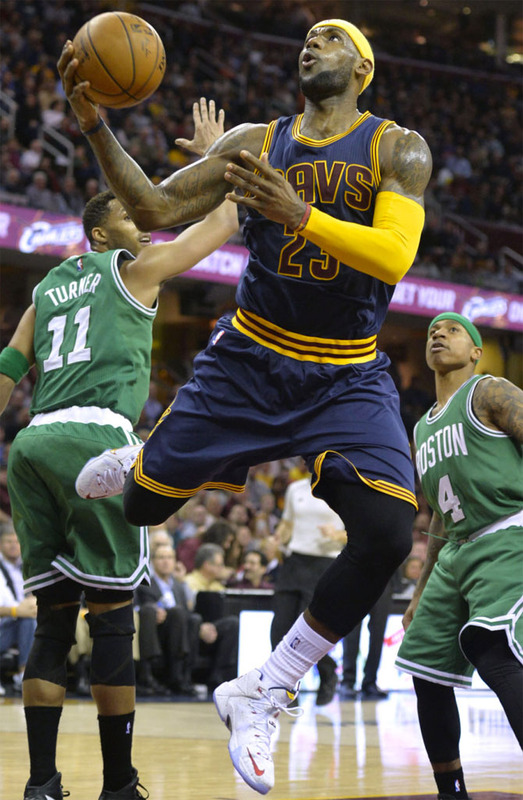 Scroll through a few game shots below.